“Golf is a game in which you yell ‘fore,’ shoot six, and write down five.” – Paul Harvey. It takes a lot of practice, patience and persistence to get good at golf. 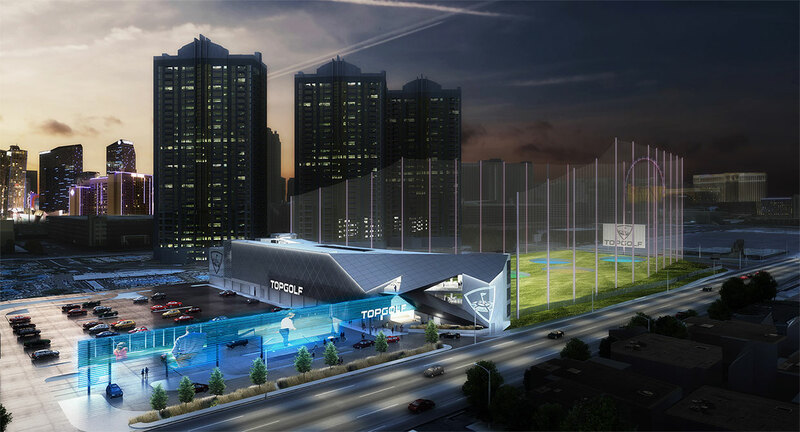 If you’re already good at golf, then you’ve no doubt heard of Topgolf. Whether you’re looking to up your game in a laid back social atmosphere or you’ve never touched a golf club in your life, Topgolf is the “premier golf entertainment complex where the competition of sport meets your favorite local hangout” (Topgolf.com). After recently opening in May 2016, the Las Vegas Topgolf is the biggest ever built. While a typical Topgolf costs $18 million to build, this isn’t your typical Topgolf. This monster MGM Grand establishment is the only non-casino to occupy eight acres on the strip and is estimated to have cost more than $50 million. Topgolf Vegas is almost twice the size of the average Topgolf, four stories instead of the typical three, and can accommodate 750 more people than the average Topgolf. The food you find will not be your typical Topgolf American cuisine either. With choices like wok-charred edamame, Greek chicken and margherita flatbread pizza, the menu was obviously designed with an international appeal. From its concert venue and private cabanas and pools to its breathtaking view of the Vegas skyline, everything about Topgolf screams luxury. 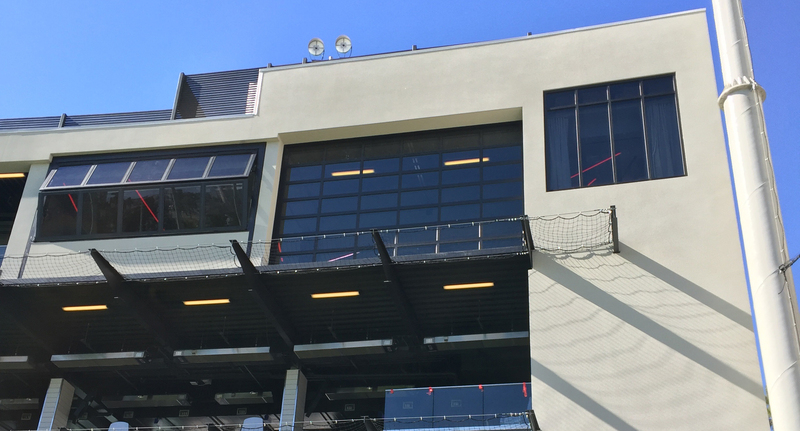 Northwest Door is proud to say that our oversized black anodized commercial aluminum door with black powder coated track and hardware was included in their vision. 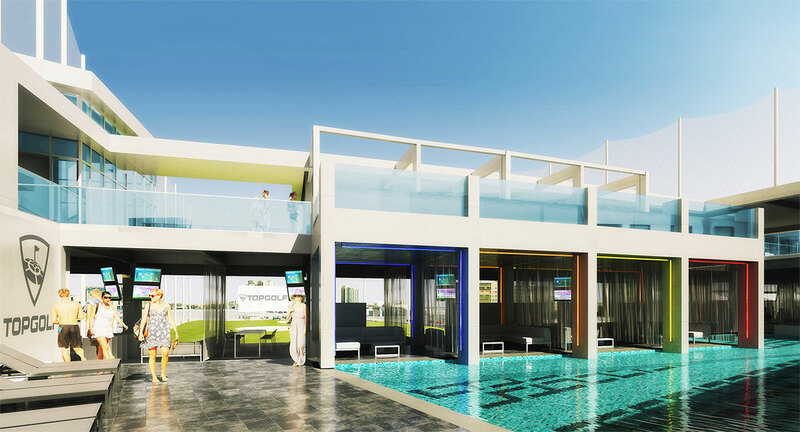 At 21’ x 13’, this massive rooftop door separates the “Chairman’s Suite” from the range. “Golf professionals, when they film on the Golf Channel, will compete against each other up here.”(VegasSeven.com).